Lil Coffee Cabin | Iced Coffee, Hot Coffee, Bakery Treats, and More! Custom Blended Small Batch Air Roasted Coffee | Fresh Bakery | & More! Our distinctive air roasted coffees and espresso drinks are among the best you’ll ever taste and our frappe Coolers are becoming extremely popular. Our fresh baked goods are some of the best your taste buds will have the opportunity to experience. Stop by and try them today. Be warned, you may get addicted! We have many Coffee-Free options as well including outstanding fruit smoothies, teas, hot chocolate, steamers, chai tea, milkquakes and Italian sodas...the list is long, we have something for everyone! 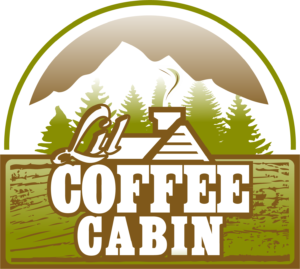 Lil Coffee Cabin is proud to offer our distinctive Cabin Blend (medium roast) and Dark Forest Blend (dark roast) as well as our Cabin Espresso (Italian roast). These custom blends were developed with great care and scrutiny. Our beans are small batch air-roasted to create a consistently great cup. Air roasted coffee brings out the full flavor of the coffee for a clear and intensely aromatic taste without the bitter acids that are produced through the conventional roasting processes. We have a great team of professional baristas standing ready to serve you with a smile! 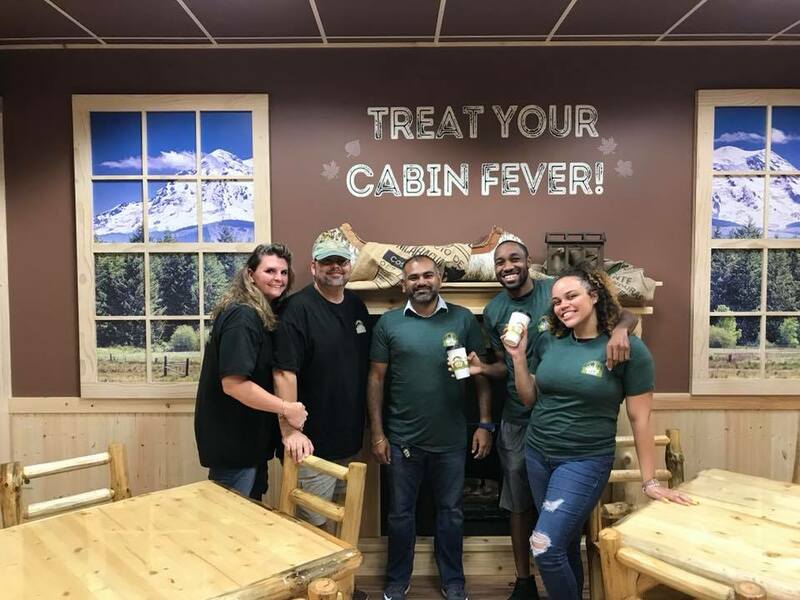 Our friendly team members are trained to answer any questions you may have about the products we sell. Our baristas are happy to make you anything you like and are there to offer suggestions.